Michigan is literally a state divided. As the only state in the nation with two peninsulas, the Great Lakes State has faced its fair share of challenges over the years, including battling a perceived sense of separation between its distinctive parts. For decades, Michigan residents had a difficult time traveling from one peninsula to the other. The physical barrier also created limitations related to trade and general understanding among the people of both peninsulas. When the Mackinac Bridge eventually opened in 1957, both peninsulas became more easily accessible, diminishing the isolation that Michiganders felt from one another. Eventually the divides that once created barriers within the state began to fade away. 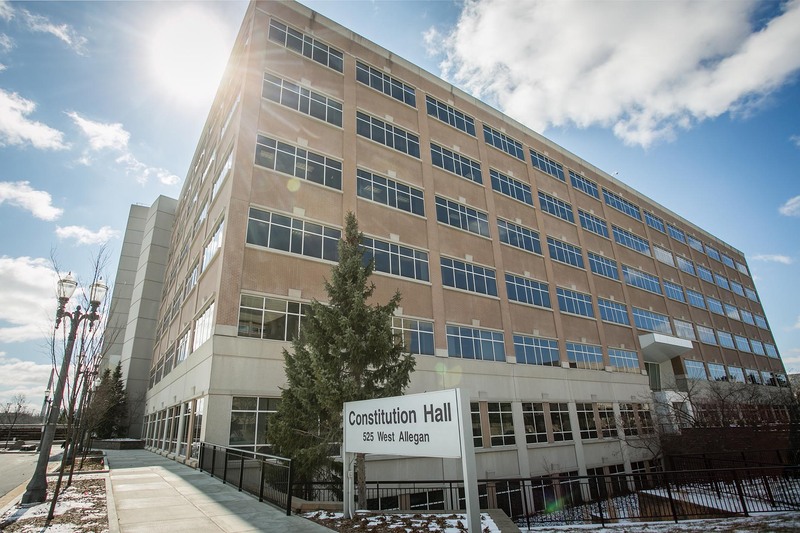 This symbolic evolution is what Michigan Liquor Control Commission (MLCC) Chairman Andy Deloney used as inspiration for the theme of his tenure as Chairman of the National Alcoholic Beverage Control Association (NABCA). “Bridging Divides” will be the focus of Deloney’s work, for his term as NABCA chairman, which officially began at the association’s annual conference last May in Marco Island, Florida. “As regulators, it’s our responsibility to identify and bridge divides across the industry, helping to create understanding so each side can better comprehend where the other is coming from,” Deloney says. Heading up the MLCC since June 2011, Deloney has developed a reputation of continuously working to improve operations and relationships across the state. The MLCC has made great advances as a result, and Deloney will most certainly apply his steady leadership to advancing NABCA’s mission. Jim Sgueo, President and CEO of NABCA, says that Deloney’s accomplishments at the MLCC are a natural fit for his tenure as NABCA chairman. Heading up the MLCC since June 2011, Chairman Andy Deloney has developed a reputation of continuously working to improve operations and relationships across the state. Deloney was initially appointed to lead the MLCC in June 2011 and was re-appointed in 2015. His current term expires in June 2019. Prior to taking on the role of MLCC Chairman, Deloney served as Vice President of Public Affairs for the Michigan Restaurant Association, where he oversaw legislative, regulatory and political operations. Deloney previously worked as Assistant State Director for the Michigan branch of the National Federation of Independent Business, an advocacy organization for small and independent business owners. 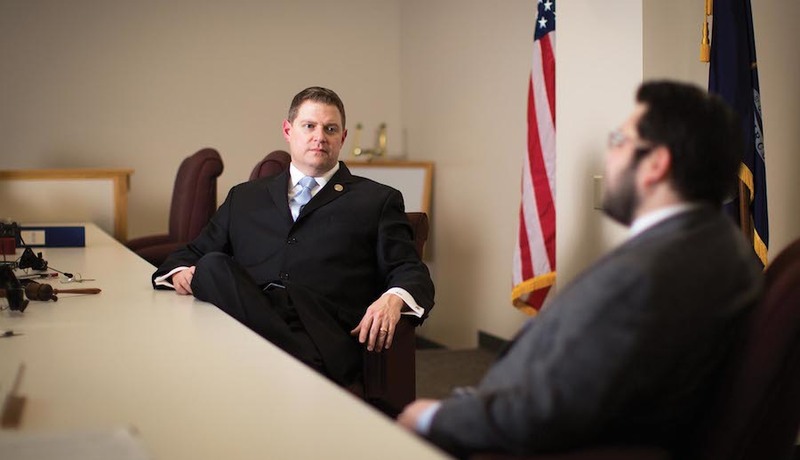 He also has experience working as a legislative assistant in the Michigan House of Representatives, where he performed various policy duties for two state representatives. When Deloney joined the MLCC, the state was in the beginning stages of recovering from an economic recession. Additionally, the 143-person MLCC staff was operating with many outdated processes, particularly related to the licensing system. Deloney was tasked with ushering in change within the agency by adhering to RPM, the state’s Reviving Performance in Michigan initiative. Deloney made revamping the licensing process a top priority, drastically decreasing the average time applicants waited for a license application to be processed. Previously, applicants generally waited up to 300 days for their licenses to be granted. As of December 2016, the MLCC reports that 99% of all completed license applications are processed within just 90 days. Additional system improvements included reducing the number of forms required for each license application by 63%; standardizing the licensing process across all areas of the state; implementing electronic fingerprinting for license applicants; and eliminating the old “license application closing packet process” altogether. 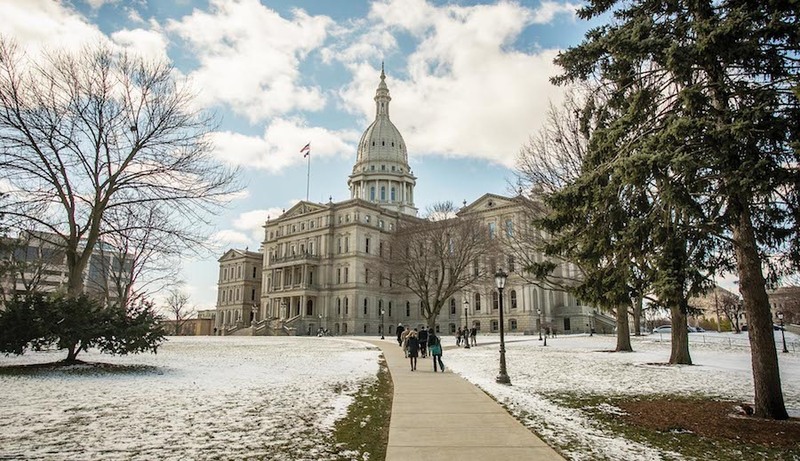 The results of these efforts are quite apparent: not only have the licensing improvements been effective in improving overall agency efficiency, they’ve also contributed to dramatically increased liquor sales in Michigan. Businesses no longer have to wait as long to receive permits, thereby allowing them to begin selling product sooner. Currently, the MLCC oversees a total of 17,207 retail-tier businesses holding nearly 27,344 licenses for on- and off-premise consumption. Additionally, the MLCC regulates more than 13,800 manufacturer-tier and wholesale-tier licenses, and approximately 7,200 special one-day licenses were issued in 2016 to various non-profit organizations. With so many operational licenses, sales for the first three-month period of fiscal year 2017 amounted to $370,058,934–an increase of 18.5% over the last three years. Deloney is quick to point out that improving the licensing system is an ongoing project, with the MLCC’s goal to continuously maintain and improve processes to ensure the system evolves along with changes in the marketplace. One of the latest enhancements is the ability for select license applicants to receive a conditional license, which allows them to operate temporarily until the full license is granted. Although the conditional license law has been in place for the past three years, the state recently expanded it to include license location transfers as well. Deloney says this is another example of how the state is committed to constantly reevaluating processes to make improvements benefiting both the state and its many licensees. Additional MLCC projects that are currently underway include a thorough review of the agency’s regulations. Deloney says that he and his team recently completed the wholesale review and reform of a significant rule set which led to several major changes, including the decision to now allow on-premise establishments to install table taps. This new regulation became effective in December 2016. Another upcoming large-scale project is to create a new online licensing system designed to meet the unique needs of the MLCC. Deloney credits his staff at the MLCC for the successes the agency has experienced over the past six years. He stresses the importance of fostering a work culture of employee engagement where everyone is encouraged to suggest and embrace new suggestions, and where management lets staff know that their ideas are encouraged and valued. When Andy Deloney joined the MLCC, the state was in the beginning stages of recovering from an economic recession. Having experienced a number of large successes with the MLCC, Deloney is anxious to apply what he’s learned to his role as NABCA chairman. Citing numerous examples of partnerships forged within his agency as well as with external agencies and organizations, Deloney says it’s essential for two-way communication to exist between the MLCC and these groups. The same principle can easily be applied to helping bridge divides that may currently exist with NABCA and its partners. One of the challenges that faces all new NABCA chairs is figuring out how to continue forwarding the work of the previous chairmen, while also incorporating something new. Chairs are also limited to one-year terms, making it essential for each incoming chair to carry on the work of not just the outgoing chair, but of all those from the past several years. Former NABCA Chair Stephanie O’Brien, who also serves as Chair of the Vermont Department of Liquor Control (VDLC), thinks that Deloney will bring a fresh new perspective to the role. O’Brien notes that in the alcohol regulatory industry, as in life in general, there is often a distinction between actual boundaries and others that are only perceived. Deloney says that his work at NABCA will be greatly influenced by O’Brien’s and also by those chairs who served before her. The theme of Deloney’s tenure as NABCA Chair is “Bridging Divides.” The MLCC oversees more than 17,000 retailers holding more than 27,000 licenses for on- and off-premise consumption, as well as 13,800 manufaturer and wholesaler licenses and 7,200 one-day special licenses. In addition to bridging divides, Deloney says that NABCA also needs to continue efforts to make sure products are safe. He is quick to point out that, with a tremendous increase in both the types of products available and the numbers of producers of all sizes, the fact that product safety has become more of a concern for states is not cause for panic. It’s quite the opposite, as additional producers and product offerings signal a vibrant economy. However, licensees and customers want to know that products are safe. Education and enforcement have always been at the forefront of the work conducted by the MLCC, and Deloney says that product information and safety have become even more relevant throughout the nation in recent years. He urges discussion with industry and regulators from all states. Melissa Niksic is a freelance writer and marketing communications strategist from Chicago, IL. Her work has appeared in Chicago’s Daily Herald newspaper, Time Out Chicago, Suburban Life newspapers, and various magazines. She is also the author of several children’s books. Follow her @MelissaNiksic.